U.S. Attorney General Jeff Sessions announced Tuesday, Sept. 5, that the Trump Administration is ending the Deferred Action for Childhood Arrivals (DACA) program implemented by the Obama Administration in 2012. Under DACA, those who immigrated to the U.S. illegally as small children are granted lawful status without the possibility of arrest and deportation. The phasing out of the program will begin in six months, but no written plan has been released to the public. 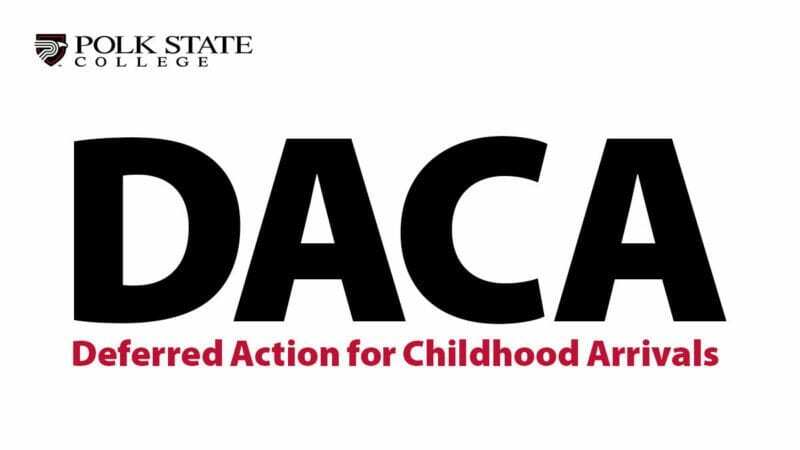 In an effort to assist students and their families who have questions about DACA and immigration, the Student Activities and Leadership Office (SALO) will host DACA informational sessions. Thursday, Sept. 21 | 10 a.m – 2 p.m.
For more information, email salo@polk.edu.